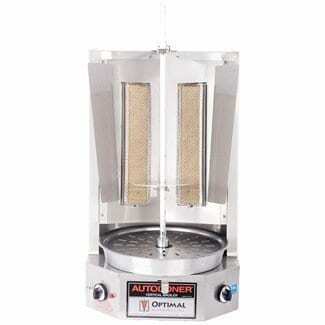 Autodoner vertical broilers are engineered for the fast food restaurant owner. 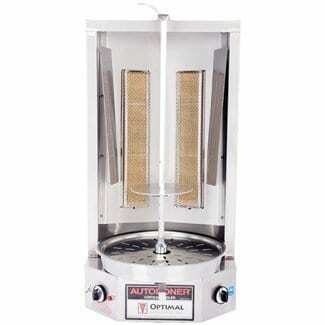 This design provides a crisp juicy and flavorful taste with ease of operation and quick clean-up. 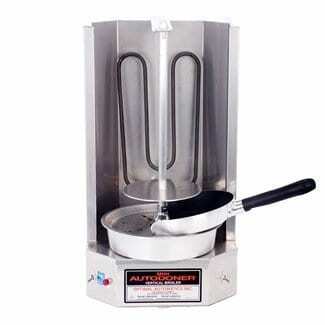 Autodoner uses the exact ratio of heat intensity and platform revolutions per minute to ensure the meat is prepared with the outside crisp and inside juicy with minimal shrinkage. Unique 4 way adjustable skewer gives you total control over broiling. 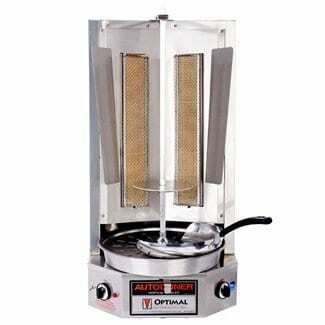 Adjustable heat shields concentrates heat for cooking and away from operator. Automatic slip clutch stops rotation during slicing allowing for quick and easy carving. 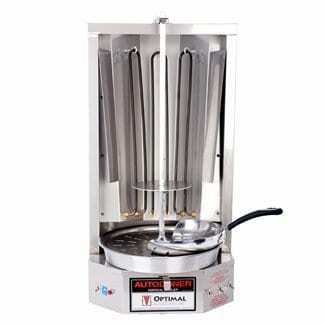 Smooth stainless steel construction throughout 30 000 BTU dual infra-red gas burner system for even heating.